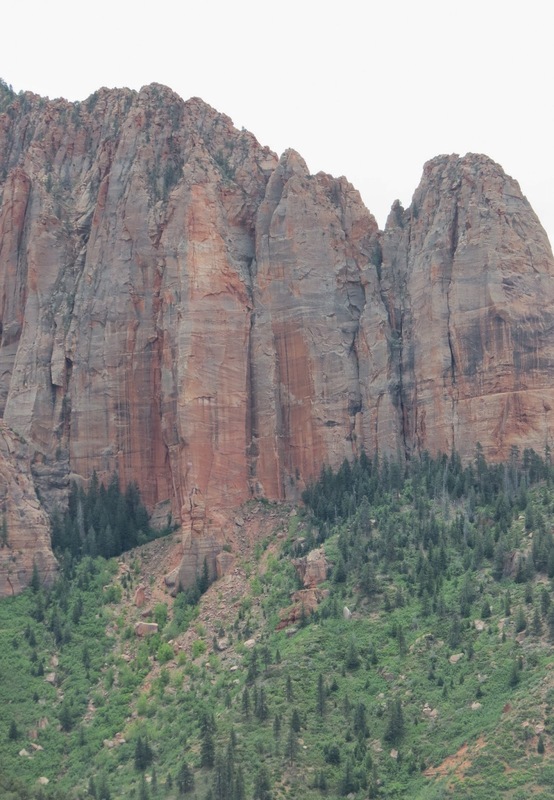 This 5-mile scenic drive is in a lesser known/used section of Zion National Park. It's entrance is off I-15 north of St. George. The road that winds between the canyon walls matches the reddish Navajo sandstone formations that surround you. One of five "Finger Canyons." As we near the top we can see out over the Kaibab Plateau in the distance. From the viewpoint at the end of a trail at the top, the North Rim of the Grand Canyon can be seen. There are many "hanging valleys" high in the rocks. 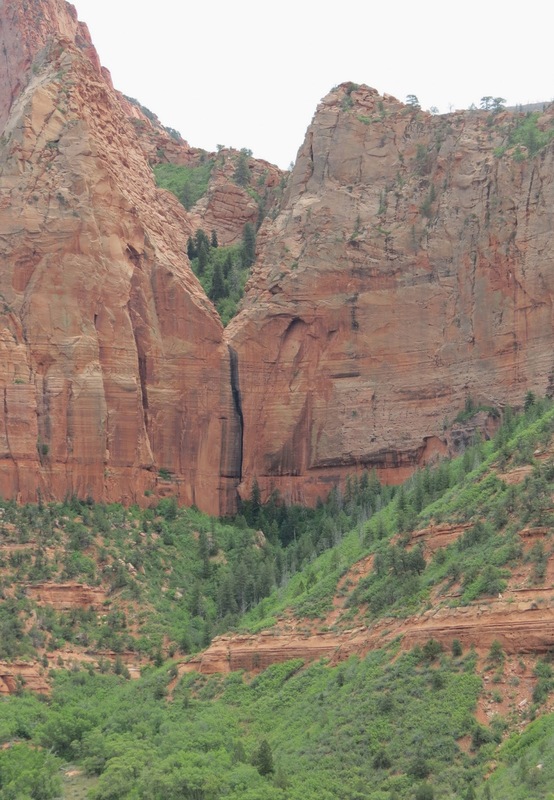 Erosion is an ongoing process that changes the face of Zion every year. Site of the 1983 rockslide. Other rockslides have caused damage. Still some snow in the higher elevations. Thistle came along for the ride since it was a hot day. We didn't do any of the hikes because he wasn't allowed on them. The windy road to the top. Double arch alcove below the hanging valley. Timber Creek Overlook is where we'd need to go to see the Drand Canyon from here, but it was too hot to leave Thistle, so didn't do it. But it was interesting to see how they constructed the trail for water to flow around. Kolob Canyons...we made it a a day trip from Virgin River Gorge. Now we are exploring the rest of Zion National Park.